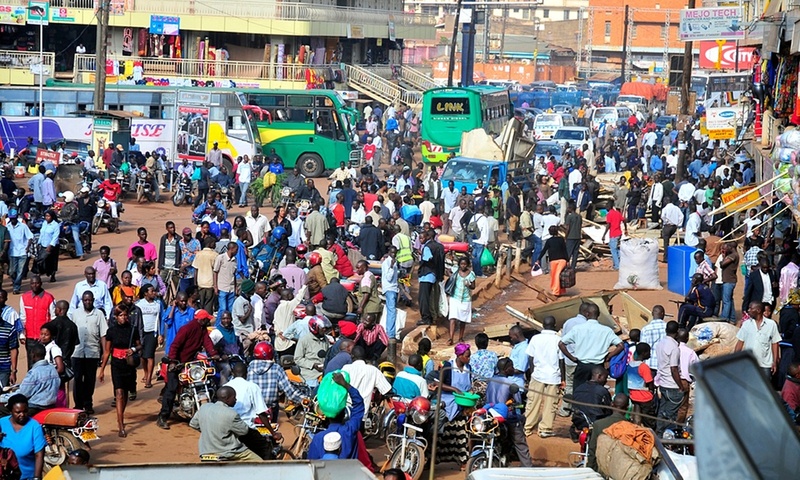 This article from The Guardian does an excellent job capturing the current struggle to create safe travel corridors for cyclists and pedestrians in Kampala, Uganda. Thankfully, the projects have been approved and should be under construction soon. When they are finished, they will be some of the finest models of bicycle and pedestrian street redesign in the world. I can hardly wait to post before and after photos on our Street Design page. To go from such a chaotic, dangerous situation to this modern, high-standard design will not only inspire cities throughout the developed world, but will show developing cities they no longer have any excuses. Thanks to Kampala’s courage, any city that remains dangerous to cyclists and pedestrians will know they are being left in the dust. But as you will read in the article, even as the projects are moving forward, many voices are still shouting concern. I especially appreciate the defense of the projects that points to the 60% of Kampala’s travelers who do not drive. This underscores what a terrific street redesign model this will be, not only for the rest of Kampala, but the rest of the world. And that is why this article and these projects are such a great fit for this blog. They are defying poverty with streets designed for all bicyclists, especially those who must ride. Enjoy!